James obtained a Bachelor of Law and a Master of Law from Peking University, a Doctor of Law from Renmin University of China and a Postgraduate Diploma in English and Hong Kong Law from the Manchester Metropolitan University. He was admitted as an Attorney of the PRC in 1994, and registered with the Law Society of Hong Kong as a foreign lawyer since 1996. James is a member of both the Charted Institute of Arbitrators and the Hong Kong Institute of Arbitrators and is an accredited mediator. James is a prolific writer and publishes regularly in legal journals. He was a visiting lecturer in China Business Law at the Hong Kong Polytechnic University from 1995 – 1997, a visiting professor in PRC Bar Examination Revision Program at the All China Lawyers Training Institute, Shenzhen from 1995 – 1998, and has been a part-time lecturer at the University of Hong Kong since 2001. James currently serves as Honorary Aide-de-camp to the Chief Executive of the HKSAR, Vice Chairman of Greater China Legal Affairs Committee, Public Affairs Committee and a member of the Community Relations Committee of the Law Society of Hong Kong. He is also the Vice Chairman of Liquor Licensing Board, a Panel Member of the Solicitors Disciplinary Tribunal, an Adjudicator of the Obscene Articles Tribunal and a Panel Member of a number of Appeal Boards. 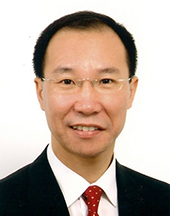 He is also a registered financial planner and a Fellow of the Hong Kong Institute of Directors. He is also an Founding member of the Hong Kong Independent Non-executive Directors Association. In 2016, the SAR government appointed James a Justice of the Peace.